Should you worry about bleach fumes? A study shows that one of the risks of using bleach includes raising the risk of infection in your children. Are bleach fumes dangerous and should bleach be used regularly in your home? Bleach has long been one of the most common and relied upon household cleaners. It can be used for a variety of purposes, including stain removal, maintaining bright white clothing, getting rid of mold, and more. But are bleach fumes dangerous and should bleach be used regularly in your home? A brand new study shows that one of the risks of using bleach includes raising the risk of infection in your children. A study published in March 2015 in the journal Occupational and Environmental Medicine looked at data from more than 9,000 children from Spain, the Netherlands, and Finland. Parents of the children were asked to report the frequency of infections experienced by their child over the past year, and they were also asked whether or not they (or anybody else) used bleach to clean the child’s home at least once per week. The results showed that in households where bleach was used, the prevalence of infections was higher. Specifically, the data from the Netherlands showed significantly higher rates of influenza in children of bleach users, and the data from Finland showed higher rates of sinusitis and pneumonia. The authors can’t be sure what is responsible for this correlation, but they hypothesize that multiple mechanisms may be at play. For one, cleaning products like bleach produce volatile compounds (which become airborne) that can be inhaled, irritate the lining of the respiratory tract, and cause inflammation, which facilitates infection. Bleach may also have immunosuppressive effects that could contribute to an increased risk of infection. Several studies have found that bleach and other cleaning products are associated with respiratory irritation and respiratory problems, such as bronchitis. Adults are at risk too; women exposed to the fumes from various cleaning products, especially bleach fumes, report higher levels of asthma symptoms and chronic bronchitis symptoms. Other cleaning products can be harmful to respiratory health as well. For example, kids who were exposed to the most antimicrobial cleaning products in their homes had the highest rates of allergic symptoms. The use of cleaning products in the home during pregnancy can also be associated with wheezing and respiratory problems during early childhood. One study found that young children were more likely to have persistent wheezing if their mothers were exposed to higher levels of cleaning products during pregnancy. Using bleach from time to time to treat a tough stain, to get rid of some mold that just keep creeping back, or to brighten up your whites is probably okay. But regular use of bleach in your home might be exposing you and your family to toxic bleach fumes and could increase the risk for infection and respiratory issues. Try out DIY recipes for all-natural bleach alternatives like this one that can be used safely for laundry, cleaning, and disinfecting purposes. 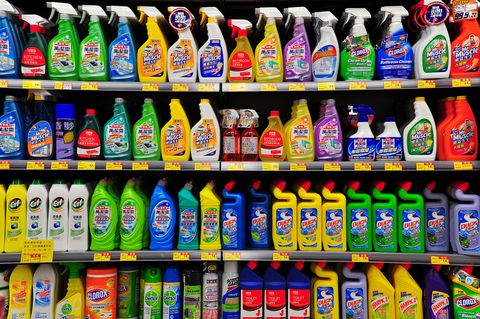 Do you use bleach in your home, or do you prefer natural household cleaning products? Have you had any harmful experiences related to inhaling bleach fumes? Do you have any favorite alternatives to bleach that work well for you? Share your tips in the comments section below. Occup Environ Med. 2015 Apr 2. pii: oemed-2014-102701. Occup Environ Med. 2005 Sep;62(9):598-606. Environ Health Toxicol. 2014 Nov 21;29:e2014017. allergic symptoms, antimicrobial, are bleach fumes dangerous, asthma, asthma symptoms, bleach fumes, bronchitis, children, chronic bronchitis, chronic bronchitis symptoms, health, infection, inflammation, inhaling bleach, mold, pneumonia, report, respiratory problems, sinusitis, wheezing. While I try not to use bleach (it stings my eyes and lungs), I tend to turn to it when the bathtub caulk gets moldy. I’m going to try the alternatives in the link here to see how mold stands up to them. Electrolyzed water is a great solution! It kills pathogens better than bleach and is non toxic for humans and pets. For household use, Force of Nature makes an affordable appliance to make electrolyzed water at home. Institutions can buy larger machines to make it and even save money. An amazing natural alternative is Norwex. The products have no toxins or chemicals and the microfiber has silver in it and uses water only. I suffer from Multiple Chemical Sensitivity. Everyday is a struggle with scents, but cleaning supplies are the worst. I have been to the ER several times diagnosed with chemical exposure. I use a handheld steam cleaner for all surfaces and a steam mop for floors. I just mopped my laundry room and kitchen with straight chlorine bleach and mine and my son’s eyes, throat and lungs are seriously irritated. My nose feels stuffy and it’s been 3hours since I had mopped. I had to put my little dog outside because she was suffering the most. My Pitt , piggy and cats are fine so far. When I cough , I get a strange taste and feeling at the back of my throat. This is the first time using chlorine bleach in 2 months. I do have some fabuloso that I will start using. Is the effect on us going to take a long time to end ? I use bleach on my toilets regularly – every week or so (every other use is minor and sporadic) – and have never had any problems. While I agree that the smell is unpleasant, I can’t say that it’s caused me any grief. Maybe it’s just me, but I have no known health issues whatsoever, and like the look of my bathrooms after I deep clean them with bleach and other cleaning products. I’m recovering from a chemical pneumonia. There were bleach fumes in a bathroom where I was also sealing the granite countertop. That product also produced fumes. I had the door open and fan going but no window to open. I have been sensitive to chemicals for many years and have been treated for chemical exposure a few times but this is the first time I’ve ended up in the ER and it’s my first pneumonia. Hoping it will be the last. Bleach is going out the door, as is ever other cleaning product besides white vinegar, Dawn and baking soda. I’m also about to invest in some high quality essential oils for cleaning, disinfecting and odor control. OK guys, avoid mold by using a squeegee on shower wall, then dry the caulk. Avoids having to clean too. Takes two seconds, do it before you leave shower. i used Flash w/bleach stain remover for bathrooms whiles cleaning several hours later i started to experience strains of headaches and dizziness spent most of the day in bed as a result. 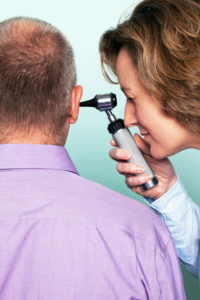 @Jan what where your symptoms that you experienced if you do not mind please.